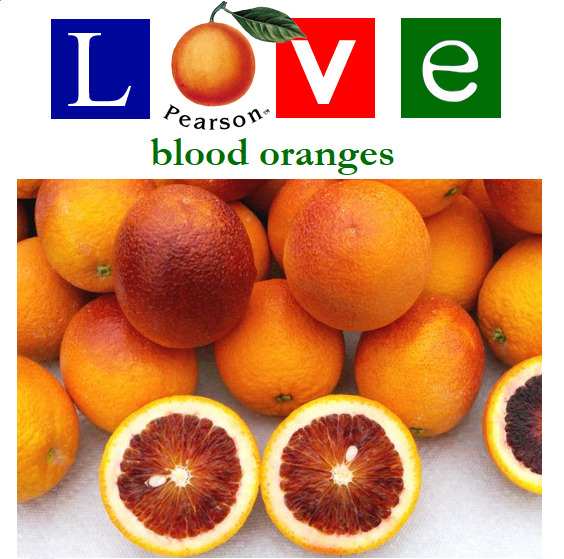 Wondering where to buy your Blood Oranges online? We have them! When in season we offer both Moro and Sanguinelli Blood Oranges. Yes, the "Blood" orange is one of the most colorful varieties in the world of Specialty Citrus products, as well as being one of the most "under used" pieces of fruit in the world of citrus. Try using blood oranges in a "Sangria" drink. Use both some of the juice from the bloods and cut them into thin slices (along with slices of lime) to "float" along the top of the Sangria bowl as a colorful and spectacular garnish. You could also replace regular orange juice for Blood Orange juice in an orange cake recipe and use slices of the blood orange to decorate the top, for a bold and exciting twist! If you can dream up a recipe with oranges and orange juice, why not add some "drama" to the mix and see what you can create. Besides, when cooking from the heart with blood oranges, there is never the risk of your efforts ever being...in "vein"!